A national recall of flour due to E. coli contamination, which was first announced last month, has been expanded yet again. 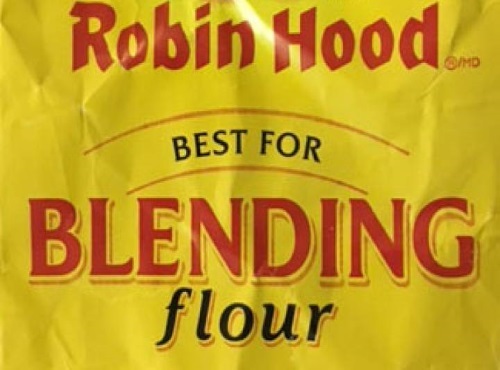 The Canadian Food Inspection Agency’s recall on March 28 affected Robin Hood flour sold in four provinces in Western Canada and was later expanded across the country. Last week, more products were added to the recall, including certain flour goods produced by Ardent Mills of Brampton, Ont. Now Ardent Mills is adding even more items to the list, including various sizes of Robin Hood Best for Blending flour, as well as the brand’s bread and roll mix. A complete list of recalled products can be found on the CFIA website. The agency said after the initial recall there were 26 cases of people being infected with E. coli in British Columbia, Saskatchewan, Alberta and Newfoundland and Labrador. No deaths have been reported, but at least six people required hospital care. Two Alberta law firms announced last week they were filing a class-action lawsuit on behalf of people who bought or consumed Robin Hood flour and became ill.
Click here for the news article on GlobalNews.